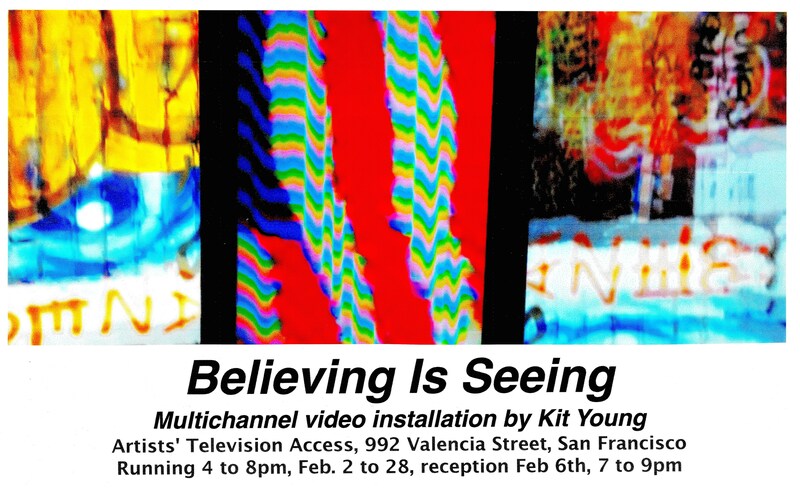 ATA Window Gallery presents the opening reception for Kit Young, Believing is Seeing, February 6th, 7-9pm. to function as a whole? How do the mechanisms of our perception determine our reality? mechanisms in producing what we take to be reality? What is the relationship between art and democracy, historically and currently? Why is the art world still so lacking in diversity and integration? What place can ethics and mindfulness have in the practice of art? in unexpected and liberating ways. This entry was written by Ariel Zaccheo, posted on February 6, 2015 at 7:00 pm, filed under blog, gallery reception. Bookmark the permalink. Follow any comments here with the RSS feed for this post. Trackbacks are closed, but you can post a comment.